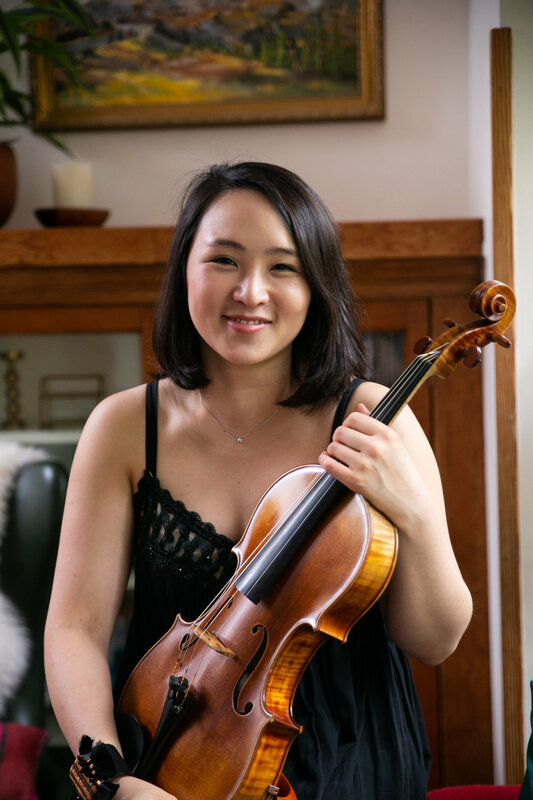 Born in France, Kim Mai Nguyen is a Juilliard-trained violist, music educator, and arts advocate. She is a dynamic and charismatic musician who plays everything from Baroque to contemporary; she also explores music from cultures around the world and has performed and taught in Afghanistan, Belize, El Salvador, France, Guatemala, Iraq, Jamaica, Lebanon, Prague, Vietnam, and the United States. Nguyen has played with the Paris Opera Orchestra, the Opéra Bastille, the Palais Garnier, and the French Chamber Orchestra and has participated in numerous festivals, including the Spoleto USA Festival Orchestra, Castleton Festival, New York String Seminar, and Tanglewood Music Center. She plays with the Portland Baroque Orchestra and has appeared with the American Bach Soloists, William Christie, Monica Huggett, Ton Koopman, Jordi Savall, Masaaki Suzuki, and Juilliard415. Nguyen brings her love of education, community activism, and cultural diplomacy to numerous projects worldwide. After a trip to Kabul, Afghanistan, she formed the world music ensemble Drifting East, which combines central Asian folk and traditional melodies with Western harmonies and influences. She has co-directed orchestra workshops in Lebanon and Iraq with American Music Abroad, a U.S. State Department-sponsored organization providing cultural exchanges through the arts. She also joined the staff of MusAid, a non-profit that provides musical institutions in under-resourced parts of the world with volunteer music teachers, donated instruments, and materials. In 2013, Nguyen was a faculty member with the El-Sistema-inspired National Youth Orchestra of Jamaica. In 2010, Nguyen performed for Michelle Obama and the spouses of the heads of government attending the United Nations General Assembly. She is the recipient of prizes in the Union Française des Artistes Musiciens competition and the French Youth Competition. She obtained both her B.M. and M.M. from Juilliard, where she studied with Hsin-Yun Huang, Heidi Castleman, and Steven Tenenbom.